One of the containers of Crystal Clear was not screwed shut completely. This resulted in some powder being dusted on all containers and in the box. I don't think much product was lost, but it was rather a mess. 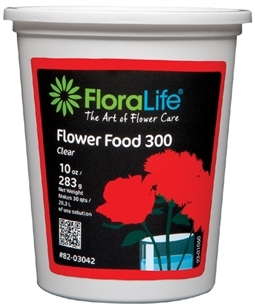 This product is frequently included in a packet in flowers purchased at Publix. I works well but Need to have more on hand to add to water when I change the water in the vases every other day.